Think your commute's bad now? Just wait until BART workers strike again. 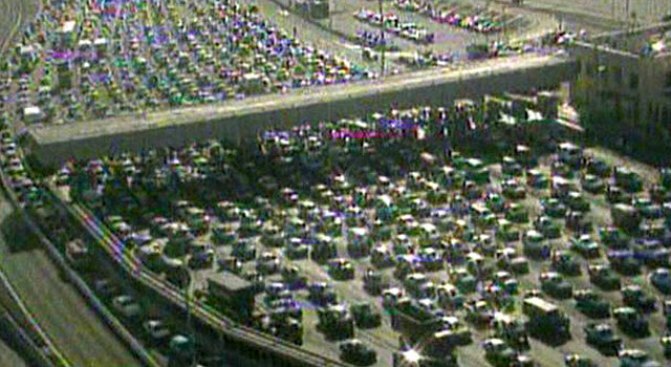 This is a snapshot look at what Bay Area drivers faced in 1997 when BART workers went on strike for a week. We could be in for another taste of traffic jam hell come July 1 if talks fail. BART employees are one step closer to striking on July 1 after the third union representing employees of the Bay Area Rapid Transit District authorized a strike Thursday. Workers in the SEIU Local 1021, which is BART's largest union, overwhelmingly approved the move with over 98% support. At issues is $100 million in cuts to employee compensation and benefits over a four year contract. The unions would prefer that the contract be shortened so that the cuts could be temporary. The impending strike brings memories from 1997, when BART workers went on a week-long strike. Major traffic jams made the Bay Area commute even unglier than it is on a typical day. 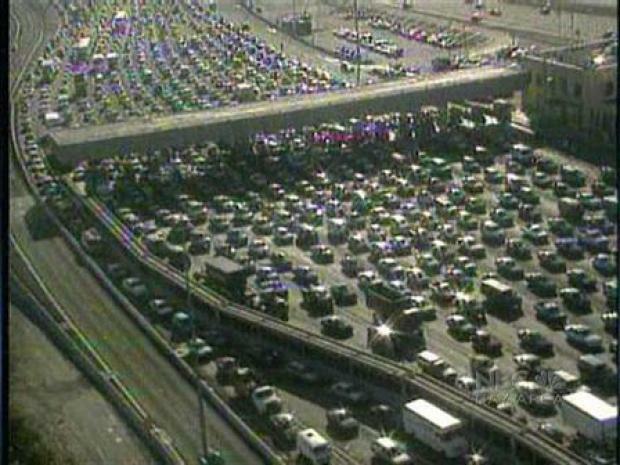 If BART workers went on strike, history shows us the Bay Area would be traffic jam hell. Before we reach the gridlock phase, transit officials are warning BART riders to think of alternative ways to get around. SEIU representative Carlos Rivera told NBC Bay Area that BART workers do not want to strike. "We're going to work our butts off to get a cool-down period from the Governor." BART board members sent a letter to Governor Arnold Schwarzenegger on June 10 asking him to reject any requests for a cooling off period. They say a 60-day cooling off period would cost BART up to an additional $1 million. A large majority of members of the Amalgamated Transit Union and the American Federation of State County and Municipal Employees Union have also authorized a strike. Contracts for the three unions expire at midnight June 30. State mediators have stepped in on the talks at the request of the unions.